Look no further than Hotel Colorado for your next corporate event, meeting, or retreat. Our hotel features seven spacious, well-appointed private meeting rooms for up to 250 people with an additional 10,000 square feet of meeting space for larger meetings and breakout sessions. Our expert catering staff will work with your team to develop the perfect menu for your event. Our menus cover a full range of flavors and options for breakfast, lunch, dinner, and snacks. All meeting rooms and spaces are equipped with wifi and are completely customizable to suit your needs. What better place to host a corporate event than in the heart of the beautiful Colorado Rockies? Your employees and partners will love the opportunity to explore the hot springs and take part in activities like hiking, skiing, biking, and whitewater rafting. 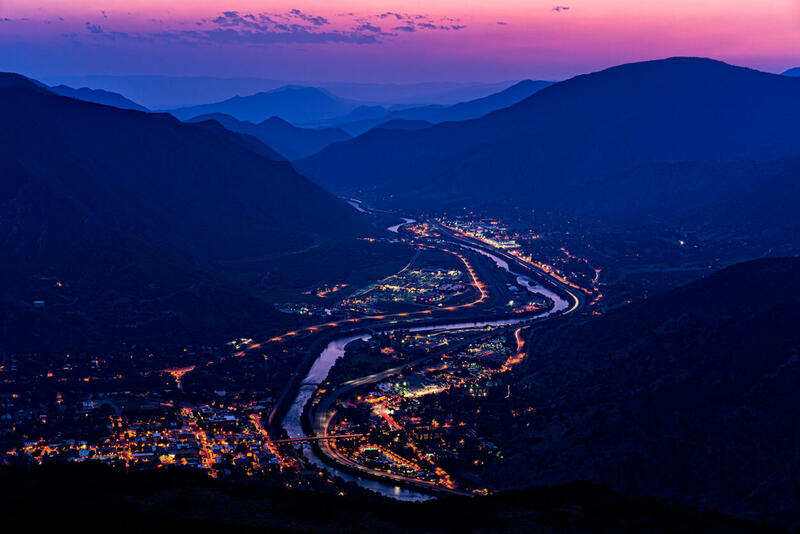 Plus, a number of teambuilding activities, like the Iron Mountain Hot Springs and Glenwood Caverns Adventure Park, are available in the Glenwood Springs area. Let us host your next corporate retreat or event. Our legendary service and beautiful surroundings will delight you, your employees, and your partners.